I’ve shared a few recipes on the site that show my love of Mexican inspired flavors. From my Spicy Chicken Stew to my Taco Pizza with Mexi-Sauce, it is pretty clear my family loves dishes that use ingredients from Mexican and Tex-Mex cooking. Enchiladas are no different. Whether I stuff them with chicken or beef, my people go crazy for a good tortilla oozing with cheese, meat and sauce. 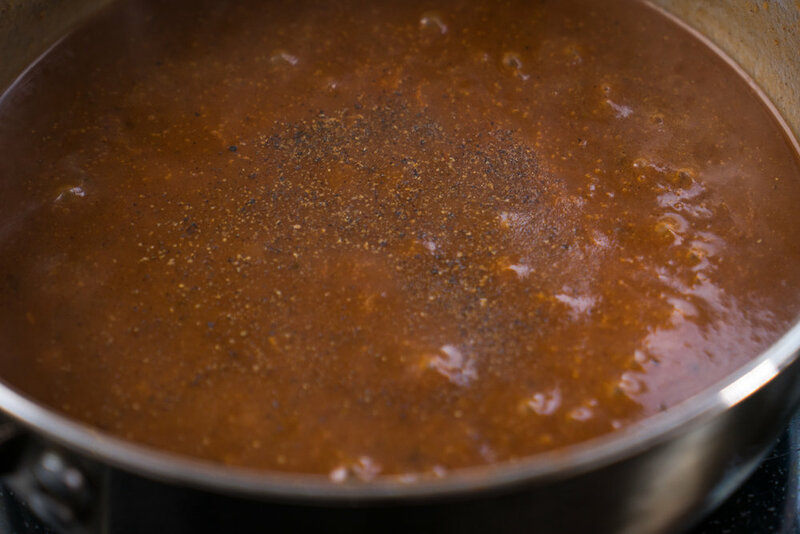 Over the years I’ve tweaked and fiddled with different recipes for enchilada sauce. I’ve read that some folks swear a true sauce cannot have any tomato in it, while others fully embrace tomato as a faster way to get the flavor they crave. 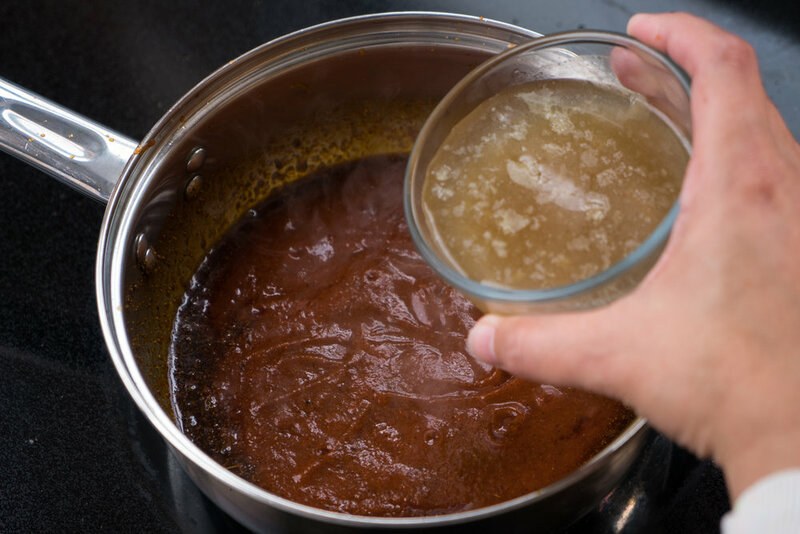 I have made the sauce both ways and it is quite satisfying to achieve the enchilada flavor by layering spices, simmering, tasting and adjusting until you get it just right. This method is great for those times when you have nowhere to be but the kitchen, but for the rest of the nights, I find a small can of tomato sauce gets me that flavor I want without the long trial and error process. Allow sauce to stand for 10-15 minutes before using. 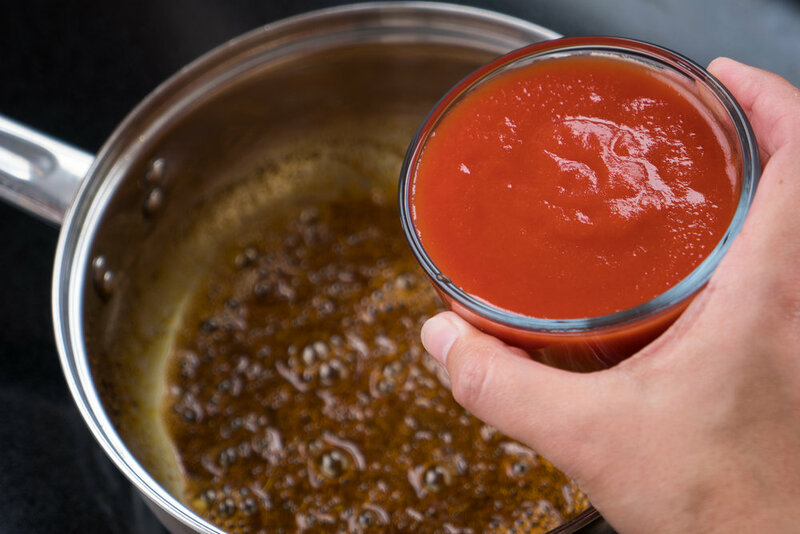 Sauce will thicken up a bit more after standing and can be used in any recipe that calls for enchilada sauce. I like a little heat but am by no means a spicy food connoisseur. If you like your food a bit on the hot side, I would recommend adjusting the chili powder to at least 1 tablespoon in the recipe. You should plan to have all your ingredients at the ready when making this. 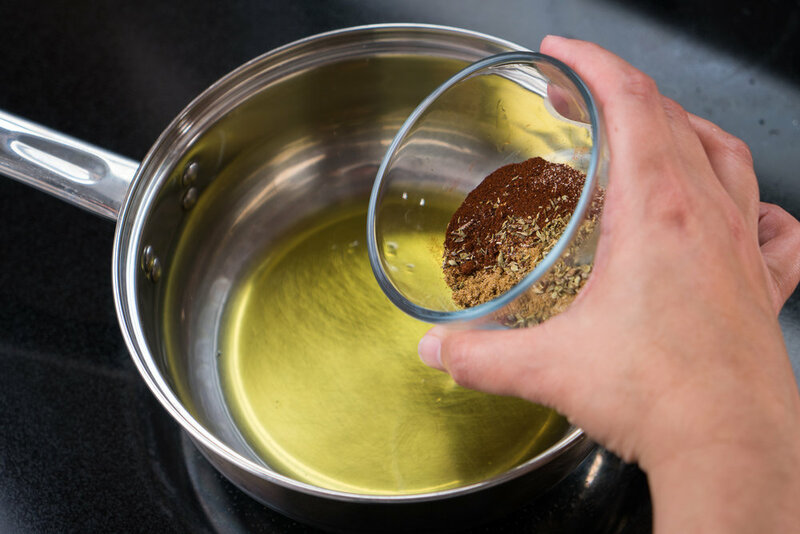 The spices boil and thicken fast once they go in the oil so make sure all your liquids are at hand and ready to go so you don’t run the risk of scorching your sauce.